HOWISON, JOHN, doctor and author; b. 10 May 1797 in Edinburgh, son of William Howison, a writer, and Janet Bogle; d. 8 Feb. 1859 in Brompton (London). John Howison appears to have received some medical education; his writing indicates interest in “chemical, mineralogical, and zoological inquiry.” He came to Lower Canada in 1818 and travelled from Montreal to York (Toronto), visiting Glengarry County, Prescott, and Kingston en route. He set up a medical practice in Shipman’s Hotel in St Catharines, where he was on friendly terms with the family of William Hamilton Merritt*, receiving “unbounded hospitality” from them. During his two and a half years in the Canadas he became involved with Robert Gourlay* and attended one of his first meetings. 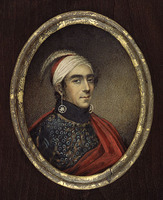 Howison, influenced by friends in the Niagara District, later turned against the radical politics of his fiery fellow Scot. He knew John Norton*, whom he described as “the white person who appears to have most influence with the Indians,” and was an interested observer of Indian affairs. Howison also travelled throughout the Niagara District and along the north shore of Lake Erie from Niagara (Niagara-on-the-Lake) to the Talbot settlement and beyond to Amherstburg, where Charles Stuart*, retired officer of the East India Company, was a justice of the peace. During this westward swing he received a commission as an assistant surgeon with the East India Company’s military service, and in mid June 1820 he “bade adieu” to Upper Canada. On his return to Scotland, via the United States, the West Indies, and Cuba, Howison prepared to publish his Sketches of Upper Canada, domestic, local, and characteristic: to which are added, practical details for the information of emigrants of every class (Edinburgh, 1821), and between May 1821 and July 1822 a series of essays appeared in Blackwood’s Edinburgh Magazine. The Sketches, favourably reviewed by John Galt* and many others, went rapidly into three editions, was translated into German, and became a standard source on Canadian conditions. It stood out above such contemporary works as those by Charles Stuart and John Strachan*. Howison’s book remains one of the most interesting of some twenty accounts of Upper Canada published in the 1820s. Although the reports by Gourlay, Edward Allen Talbot*, and John Mactaggart* are also of great value, Howison’s Blackwood connections probably account for the great critical response to his work. The Edinburgh magazine described it as “by far the best book which has ever been written by any British traveller on the subject of North America,” and praised his quiet and temperate view of “manners, occupations, and hardships, comforts, . . . set forth too in plain agreeable language . . . and totally free . . . from all prejudices, except a few, from which we hope English gentlemen will never be quite emancipated.” Another critic, in the Monthly Review, was prompted to write, “In describing the Falls of Niagara, he has out-Heroded Herod, and beaten Bombastes Furioso out of the field.” Howison encouraged later travellers to try unusual approaches to the great spectacle: “Darkness began to encircle me; on one side, the black cliff stretched itself into a gigantic arch far above my head, and on the other, the dense and hissing torrent formed an impenetrable sheet of foam, with which I was drenched in a moment.” His major concern, however, was less with the picturesque than with the ordinary scenes of Upper Canada, which though “rather destitute of variety and interest” did provide opportunities for immigrants. The Sketches offer vignettes of life in Quebec City, Montreal, Prescott, Brockville, Glengarrork, and the Talbot settlement. 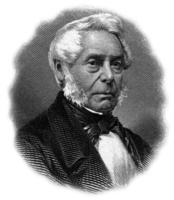 At the end of 1821 Howison was posted to Bombay, where he worked for 20 years. He spent his army leaves travelling across India and Africa and wrote a number of books about their travel conditions, aboriginal peoples, medical care, and politics. From these experiences he wrote three other books: Foreign scenes and travelling recreations (1825), Tales of the colonies (1830), and European colonies (1834). John Howison retired and drew a pension from the East India Company beginning 1 Oct. 1842. He also had a company annuity from 1851 until his death. In 1858, the year in which he gave Blackwood’s permission to republish his early stories, Nimmo’s popular tales also began reprinting his work. He died on 8 Feb. 1859 in Brompton, leaving an estate of under £8,000. Howison’s comments on the life he observed in the Canadas between 1818 and 1820 are lively and outspoken. Canadians, he said, “are hospitable, good-humoured . . . but have little vivacity of disposition, and their manners are somewhat abrupt, boisterous, and unconciliating.” The young doctor, not notably conciliating in his own manners, remarked upon the indolence and ignorance of frontier farmers and the pretensions to style of young Canadian ladies; and he tucked into his account such anecdotes as the story of a backwoods doctor asked by a farmer, whose wife was afflicted by acute rheumatism, “Now, sir, can you raise that there woman?” The doctor left something to be infused into a pint of whisky and taken three times a day. “I guess I had as well take it four times a day,” said the patient and the doctor rode off, with a promise of pay, not in money but in “plenty of good buck-wheat.” Actually Howison in his Sketches never admits that he was a doctor. 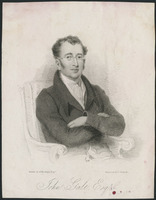 John Howison is the author of Sketches of Upper Canada, domestic, local, and characteristic: to which are added, practical details for the information of emigrants of every class; and some recollections of the United States of America (Edinburgh, 1821; 2nd ed., 1822; 3rd ed., 1825); the 1821 edition has been reprinted twice ([East Ardsley, Eng., and New York], 1965, and Toronto, 1970). It was translated into German as Skizzen von Ober-Canada . . . (Jena, [German Democratic Republic], 1822). His other travel books include Foreign scenes and travelling recreations (2v., 1st and 2nd eds., Edinburgh, 1825; 3rd ed., 1834); Tales of the colonies (2v., London, 1830); and European colonies, in various parts of the world, viewed in their social, moral, and physical condition (2v., London, 1834). Howison also wrote the following stories published in Blackwood’s Edinburgh Magazine (Edinburgh and London): “Vanderdecken’s message home; or, the tenacity of natural affection,” “Adventure in Havana,” “The fatal repast,” and “The Florida pirate” in 9 (April–August 1821): 125–31, 305–12, 407–14, and 516–31; “Adventure in the North-West Territory,” “The floating beacon,” and “Vanderbrummer; or, the Spinosist” in 10 (August–December 1821): 137–44, 270–81, and 501–8; and “The nocturnal separation” in 12 (July–December 1822): 17–25. Two of his stories were subsequently reprinted in Nimmo’s popular tales . . . (12v., Edinburgh, [1866–67]): “The nocturnal separation” appeared under the title “My trip to St Thomas’s” in 2: 184–205 and “An adventure in Havana” in 5: 210–29. British Library (London), India Office Library and Records, [East India House Arch. ], IOR, L/AG/21/15/5–7 (Medical service pensions, 1825–59); L/AG/23/10/1, no.261 (ff.82v–83) (Madras Military Fund subscribers, 1808–62); L/MIL/9/261: f.40 (Cadet reg., 1819–20). GRO (Edinburgh), High Church, Edinburgh, reg. of births and baptisms, 20 March 1793, 1 Nov. 1796, 31 May 1797; reg. of marriages, 19 March 1792. NLS, Dept. of mss, mss 4007: ff.56–57; 4008: ff.300, 302, 304; 4036: f.106; 4131: ff.291, 293. Oliver and Boyd (Edinburgh), [George] Boyd to John Howison, 19 Oct. 1821; Howison to Boyd, 24 Oct. 1821. Somerset House (London), Probate Dept., will of John Howison, proved 7 March 1859. Athenæum (London), 21 June 1834: 470–71; 9 Aug. 1834: 585–87. 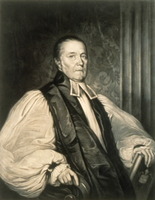 Edinburgh Rev. (Edinburgh and London), 37 (1822): 249–68. “‘An essay on the sentiments of attraction, adaptation, and variety,’” Blackwood’s Edinburgh Magazine, 9: 393–97. [John Galt], “Howison’s Canada,” Blackwood’s Edinburgh Magazine, 10: 537–45. William Howison, “An essay on the arrangement of the categories” and “A key to the mythology of the ancients,” Blackwood’s Edinburgh Magazine, 11 (January–June 1822): 308–14, 315–16. John Mactaggart, Three years in Canada: an account of the actual state of the country in 1826–7–8 . . . (2v., London, 1829). Monthly Rev. (London), ser.ii, 99 (September–December 1822): 171–85. Statistical account of U.C. (Gourlay). James Strachan [John Strachan], A visit to the province of Upper Canada, in 1819 (Aberdeen, Scot., 1820; repr. Toronto, 1968). Charles Stuart, The emigrant’s guide to Upper Canada . . . (London, 1820). E. A. Talbot, Five years’ residence in the Canadas . . . (2v., London, 1824). Niagara Spectator (Niagara [Niagara-on-the-Lake, Ont. ]), 6 Aug. 1818. Times (London), 12 Feb. 1859. S. A. Allibone, A critical dictionary of English literature, and British and American authors, living and deceased, from the earliest accounts to the middle of the nineteenth century . . . (3v., Philadelphia, 1858–71), 1: 905. Alphabetical list of the medical officers of the Indian army . . . from the year 1764 to the year 1838, comp. Edward Dodwell and J. S. Miles (London, 1839). A bibliography of articles in “Blackwood’s Magazine,” volumes I through XVIII, 1817–1825, comp. A. L. Strout (Lubbock, Tex., 1959). The East-India register and directory . . . (London), 1820–42. Edinburgh and Leith directory, 1844, 1850–51. Roll of the Indian medical service, 1615–1930, comp. D. G. Crawford (London, 1930), 434. J. P. Merritt, Biography of the Hon. W. H. Merritt . . . (St Catharines, Ont., 1875), 45. B. M. Murray, “The authorship of some unidentified or disputed articles in Blackwood’s Magazine,” Studies in Scottish Literature (n.p. ), 4 (1966–67): 146. A. L. Strout, “The authorship of articles in Blackwood’s Magazine, numbers xvii-xxiv (August 1818–March 1819),” Library (London), 5th ser., 11 (1956): 198–99. J. J. Talman, “Candid pioneer,” Canadian Literature (Vancouver), no.36 (spring 1968): 98–100; “Travel literature as source material for the history of Upper Canada, 1791–1840,” CHA Report, 1929: 111–20. Elizabeth Waterston and J. J. Talman, “HOWISON, JOHN,” in Dictionary of Canadian Biography, vol. 8, University of Toronto/Université Laval, 2003–, accessed April 21, 2019, http://www.biographi.ca/en/bio/howison_john_8E.html.